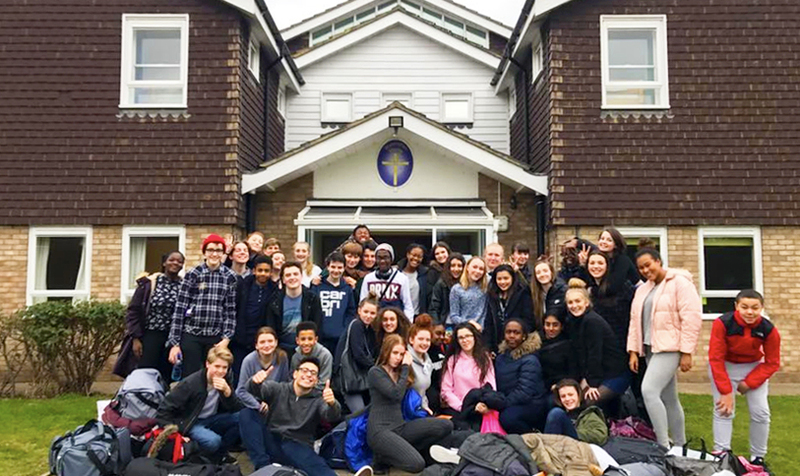 Walsingham House is the youth retreat centre for the Diocese of Brentwood, based in Canvey Island, working alongside the Brentwood Catholic Youth Service (BCYS) to provide retreat experiences for young people aged 9-18. Walsingham House works usually with school groups during the week for day, residential or outreach retreats, and at weekends for parish Confirmation residential retreats. Walsingham House takes its name from England’s national shrine to Our Lady, Walsingham, Norfolk, and appropriately the house is under the patronage of Our Lady of Walsingham. Through Walsingham, Our Lady shares with us her joy at the Annunciation – that moment where she said yes, freely and joyfully, to carrying the Son of God and giving herself completely to His service. Walsingham House is committed to the evangelisation and formation of young people, and the team at Walsingham House are a community of young adults who choose to live and work together; sharing their faith and testimony, providing witness to young people and developing in their own formation throughout the year. Many team members have experienced first-hand a Walsingham House retreat or BCYS event as a young person, and this has often led them to join the team as a young adult. The team are nourished throughout the year by a programme of formation provided by staff, clergy and guest speakers, as well as having a regular pattern of prayer, Sacrament and spiritual direction. If you want to know more meet the team. Most of the team are full time volunteers aged 18-25 who choose to work at Walsingham House for a year or sometimes more, and are led by two full time staff members. Being a volunteer team member involves living in a community, being a positive witness to young people through peer to peer ministry on retreats at Walsingham House and in wider BCYS events, and a year of personal and spiritual development. Young people aged 16-18 are able to volunteer at Walsingham House throughout the school year at weekends and work alongside the team, particularly if they are interested in volunteering in the future. For further information on volunteering, please contact the manager of Walsingham House.